Cool jobs with impact. Join us. At miniPCR, our mission is to foster a scientifically literate society. We broaden the reach of DNA analysis technologies and expand possibilities in STEM education. Our tools and programs create opportunities for everyone to engage in authentic scientific discovery and hands-on experimentation. We are looking for a talented science educator to help spearhead growth of our core educational offerings as well as to support our Genes in Space program. miniPCR develops, produces, and delivers cutting-edge biotechnology education products and activities. Along with these products we run the Genes in Space contest, a free science outreach program co-created by miniPCR and Boeing and operated in collaboration with a number of industry, academic, and education partners. Genes in Space invites middle and high school students to design a pioneering DNA analysis experiment for the International Space Station (ISS). Students design authentic research proposals to solve real-world problems, and the winning experiments are carried out by astronauts aboard the ISS using miniPCR™ technology. We are recruiting an Educational Initiatives Associate who will help grow the broader set of miniPCR educational initiatives in new and exciting directions. As part of a collaborative team you will support and expand our current lab offerings while helping to develop innovative molecular biology curriculum from inception through supporting educators as they implement lessons. This is a unique opportunity to engage and inspire youth while working directly with miniPCR’s core curriculum team in a very entrepreneurial environment. Required qualifications are strong science background, experience in science education, ability to operate in an entrepreneurial setting, strong communication skills, and demonstrable project management experience. Strong science background, advanced degree and experience working in a research lab environment strongly preferred. Teaching and science outreach experience, ideally at the high school or K-12 level. Familiarity with NGSS and Advanced Placement Biology curriculum. Experience developing and implementing innovative biology curriculum. This is a full time role. Location is Arlington, MA. There will be some travel to engage students and teachers in public workshops, promote our initiatives at educational conferences, and organize events at Genes in Space destinations. Qualified candidates should email their resume and cover letter to the miniPCR co-founder Sebastian Kraves. Function: Manage a growing Operations team, including incoming sales, logistics coordination, order intake and management, CRM database management, customer service, finance oversight (accounts receivable/payable), vendor and supply chain management, manufacturing and QC oversight, general office administration. Location: miniPCR Headquarters, Arlington, MA. Hours: Monday – Friday, 8 hours/day, flexible start/end times to be agreed upon. Travel: local manufacturing site visits, opportunities to travel to sales events if desired. Our mission at miniPCR is to foster a scientifically literate society. We create new markets by designing top quality hardware and applications that are easy-to-use and affordable, expanding the reach of DNA analysis and other technologies to scientists, educators and the DNA curious. miniPCR puts science in the hands of everyone, everywhere. Through this role you will join the miniPCR team in our mission to democratize DNA science, working with a dynamic, passionate, and growing entrepreneurial team. This position will be at the core of our business operations team. We’re looking for a seasoned operations executive who can both be hands-on and provide management and oversight to our growing Ops team. The ideal candidate will have proven experience and track record in executive functions and operations management. They will be polished oral and written communicators and highly detail oriented, reporting directly to the miniPCR leadership team. The right person for this role will possess mastery and versatility in oral and written communication internally and externally. They will have a passion for organization and efficiency, and for building high-functioning organizations. – Familiarity with Quickbooks especially integrations with third party e-commerce, inventory management, and order management applications. At miniPCR, our mission is to foster a scientifically literate society. We broaden the reach of DNA analysis technologies and expand possibilities in STEM education. Our tools and programs create opportunities for everyone to engage in scientific discovery and experimentation. We are seeking a talented science educator to spearhead growth of the Genes in Space STEM program (www.genesinspace.org). The contest invites middle and high school students to design pioneering DNA analysis experiments for the International Space Station (ISS). Students develop authentic research projects to solve real world problems, and the winning experiments are carried out by astronauts aboard the ISS using miniPCR™ genetic analysis technology. 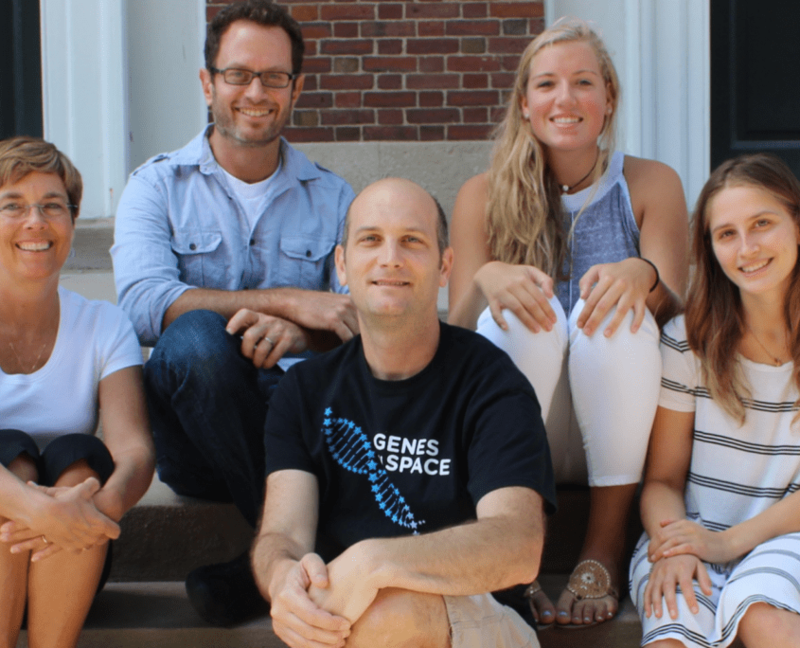 Genes in Space is in its fifth annual cycle in the United States, and it is growing nationally and internationally. Our first overseas program was conducted in the United Arab Emirates in 2016. The Genes in Space contest has engaged over 3,700 US students and conducted five student-led missions aboard the ISS that have expanded molecular biology capabilities in space. This is a unique chance to engage and inspire youth while working directly with the miniPCR Curriculum Team in an entrepreneurial environment. This role requires a strong science background, experience in science education, ability to operate in entrepreneurial mode, strong communication, and project management skills. Strong science background, preferably PhD-level. Teaching and science outreach experience, at high school or middle school levels. This is a full-time role in Arlington, MA. There will be national travel to science conferences and workshops, as well as to rocket launches. Some international travel may be required. Qualified candidates should email their resume and cover letter to the miniPCR and Genes in Space co-founder Sebastian Kraves.